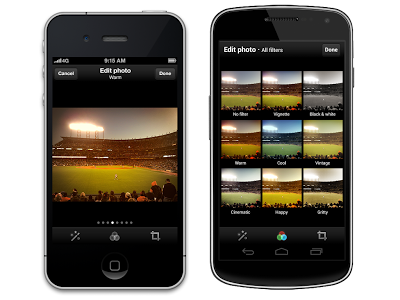 Twitter has announced the update for Android and iOS devices, which brings photo filters and effects. You can now edit and refine your photos, right from Twitter app. Twitter has partnered with Aviary, for powering filters and effects. You can apply one of eight filters, ranging from black & white to vintage, to add a new look and feel to your photos. With bird's-eye view, you can see how each filter would affect your photo in a single grid view, or swipe through looks to compare your options.